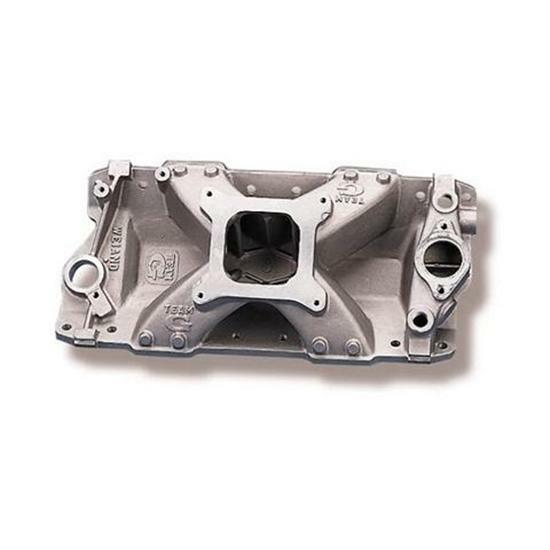 The Weiand Team G is a 360° single-plane, open plenum manifold developed for competition S/B Chevy V8s. Features an isolated plenum and isolated water cross-over to keep the incoming air/fuel charge cooler for improved power. Effective power range is 2800-7200 RPM.